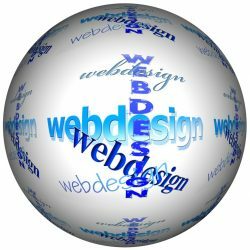 Why Choose a Web Designer? It’s entirely reasonable to ask the question: With so many free DIY site builders around, why pay a web designer to build my website? The answer lies in another question. You probably have a pair of scissors lying around at home, right? So why not cut and style your own hair? Hairdressers cost a fortune! Unless you’re going for the bald pate look, and you’re happy to shave off the new wisps that appear every three or four days, the reason you go to a hairdresser is simple: you want to trust your appearance to someone who knows what they’re doing. Right? Your online presence is important to you and your business. And for good and bad, how you appear online informs others about you. Just like a bad hairdo can leave one red-faced, a bad website can cost a business dearly. Throw in the hurricane that is SEO, and trying to build your own website sans the knowledge of the art and science of ranking well in search results is tantamount to spitting in the wind. (Yeah, a crude metaphor but one that is entirely apt). Get your website built on the correct foundation and maximise your online swagger and efficacy. It’s too important to risk otherwise. There are numerous website Content Management Systems available but WordPress is the world’s most popular CMS for a reason. Not only does it allow you to customise your website to sync with your business’s profile and branding, but it is also primed for knock-out SEO. Plus, as a CMS, WordPress is very easy to master. There are few things more rewarding than an effective online presence with you behind the wheel, if you’re a sole trader—or with one of your staff driving the project, if you oversee a staff. Involving your team in creating blog posts generates fresh, dynamic levels of creativity and fosters a sense of ownership, too. And those are two immensely valuable ingredients in any team mix. With our step-by-step coaching and the guides we supply, you’ll be able to master your own online presence independent of an outside company. Of course, we’re always available in support, at very competitive pricing, but you won’t be forking out on an expensive retainer each month. Compare our pricing and payment plans, visit our shop page or return home for an overview of all we offer.